Latino population could easily triple from 49.7 million in 2010 to 132.8 million by 2050, significantly shifting the makeup of the nation's homebuyers. 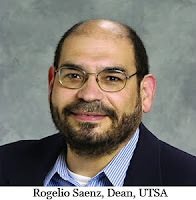 SAN ANTONIO, TX -- The growing Latino population will significantly impact mortgage lending in the United States, said Rogelio Sáenz, dean of the College of Public Policy at the University of Texas at San Antonio. While presenting at the 6th Annual Mortgage Lending Industry Strategic Markets and Diversity Conference, Sáenz based his assertion on demographic trends, citing numbers which show one out of every two people added to the U.S. population each year is Latino. Sáenz said the Latino population could easily triple from 49.7 million in 2010 to 132.8 million by 2050, significantly shifting the makeup of the nation's homebuyers. Sáenz cited data from the National Association of Hispanic Real Estate Professionals, which suggests Hispanics are now the largest minority group and a significant portion of the age group that is most often involved in home sales — mainly those who are 26 to 46 years old. He added the growing Hispanic population is more likely to have families with children, spurring the need for homeownership. Mark Calabria, director of financial regulation studies at the Cato Institute, has studied mortgage issues in the United States and agrees that the Latino share of the housing market is growing, Calabria said in an interview with HousingWire. Yet, Calabria said the demographic shift may also be dependent on the age profile of homebuyers. He said as the age of any population gets older, their homeownership rate tends to rise. "Part of this story is, Who are the first-time homebuyers going to be tomorrow?" Calabria said. "Those are all determined by the age profile of the population. A big segment of that is going to be Latino buyers." At the same time, Calabria said knowledge of this transition is not new to the housing market. It's been known for at least a decade that the Latino population would gain significant ground when it comes to demographics. He said the big question is what does the demographic shift mean for mortgage lending itself. "Are there going to be different products?" he asked. A significant portion of "the people who are alive today are going to be alive in 10 years," he noted. "What we don't know is whether the Latinos are going to transition into homeownership the way other demographics do." He added that first-time homebuyers – many of them younger Latinos – may have been part of the recent housing bubble and like other younger buyers walked away with dings on their credit scores. Sáenz didn't elaborate on whether products would shift or change, but he did suggest this population could end up becoming an area of focus for the Consumer Financial Protection Bureau as they continue to evaluate home loans sold in the mortgage marketplace.